Cherry Mobile reveal the Rover, a waterproof Android smartphone with an IP67-certified body, quad-core CPU and a large battery capacity. 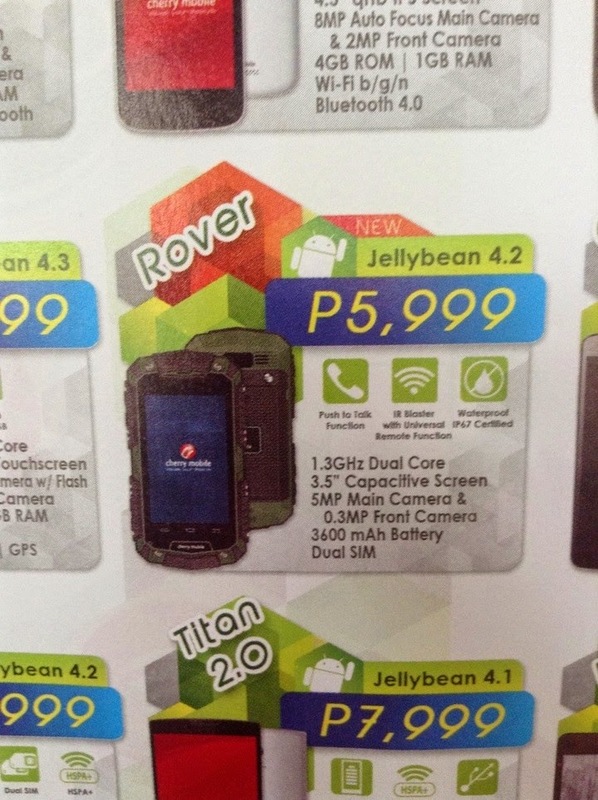 For only Php5,999, the Cherry Mobile Rover features a 3.5 inch WVGA display with 480 x 800 resolution. Powered by a Dual-Core MT6572 chip clocked at 1.3GHz plus a 512 megabytes RAM and a 4 gigabytes internal storage. The Rover also has a VGA front-facing camera and a 5 megapixel rear camera that can record a full HD videos. Under it's IP67-certified body, the device has a removable Li-ion 3,600mAH battery.